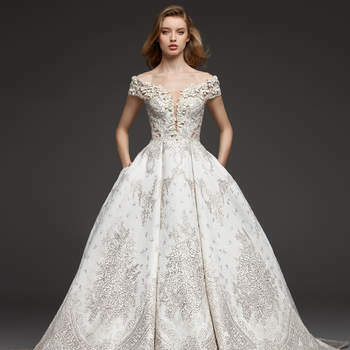 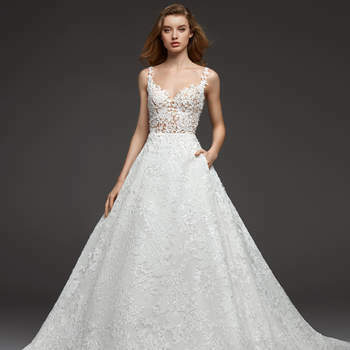 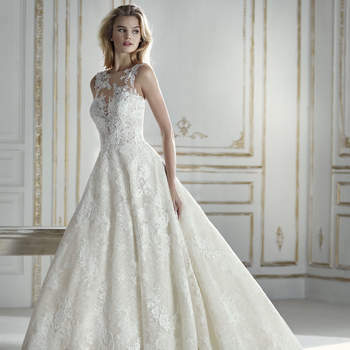 Ballgown dresses always make us feel like royalty, so make sure you choose the perfect one for your 2019 wedding! 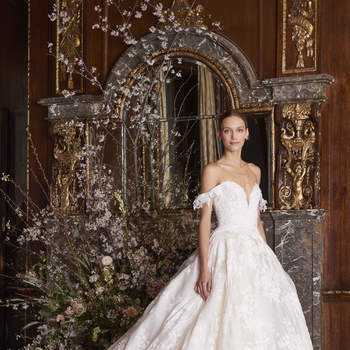 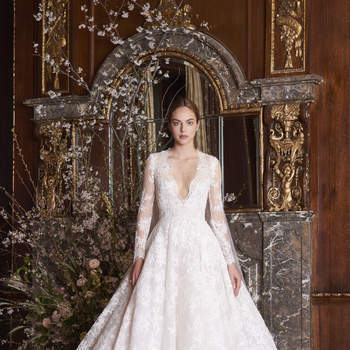 The major bridal fashion shows for next season have come and gone, and so we can finally make some judgements on the new collections, and which styles and trends we think are going to dominate 2019. 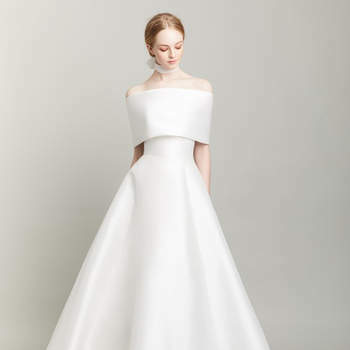 Transparent dresses, exciting sleeves and spectacular cuts are all on the cards – but make sure you don’t miss out on this gallery, and its selection of beautiful wedding dresses with voluminous skirts, where you can surely find your own unique look. 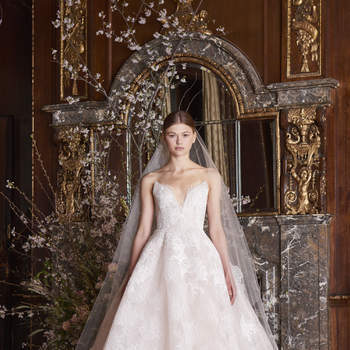 Whether they are skirts that extend out from the waist, or are in fitted dresses that open at the knee, these voluminous skirt designs are made with lots of tulle and all kinds of fabrics such as mikado, lace or satin. 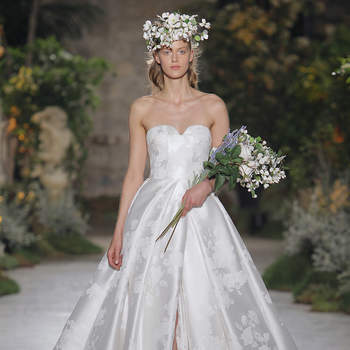 There is an infinite number of designs that we have to show you that we just love! 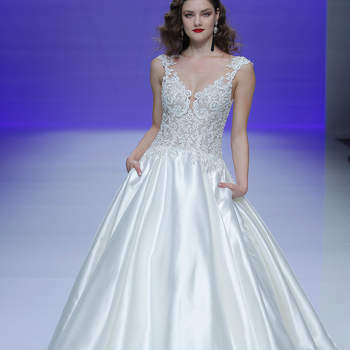 The majority are tulle dresses, from designers such as Rosa Clará and Pronovias. 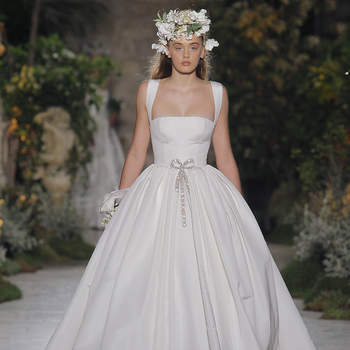 If you are a tall bride, choose a gown with a voluminous skirt, and complement it with a fantastic pair of shoes! 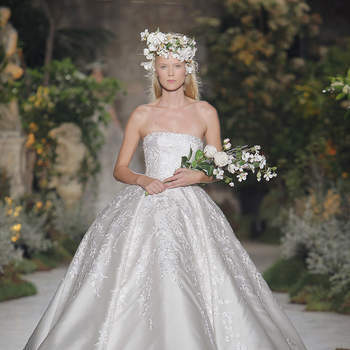 If you’re getting married next year and you haven’t made any concrete decisions yet, choose this look. 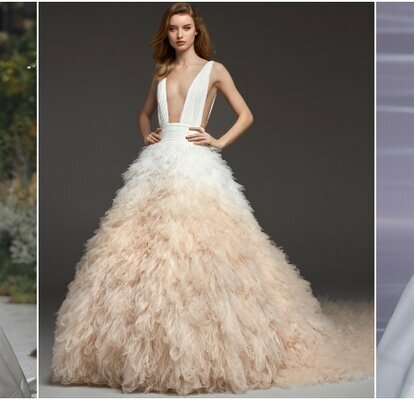 You will feel like a princess with these dresses with voluminous skirts for 2019 – discover them now!